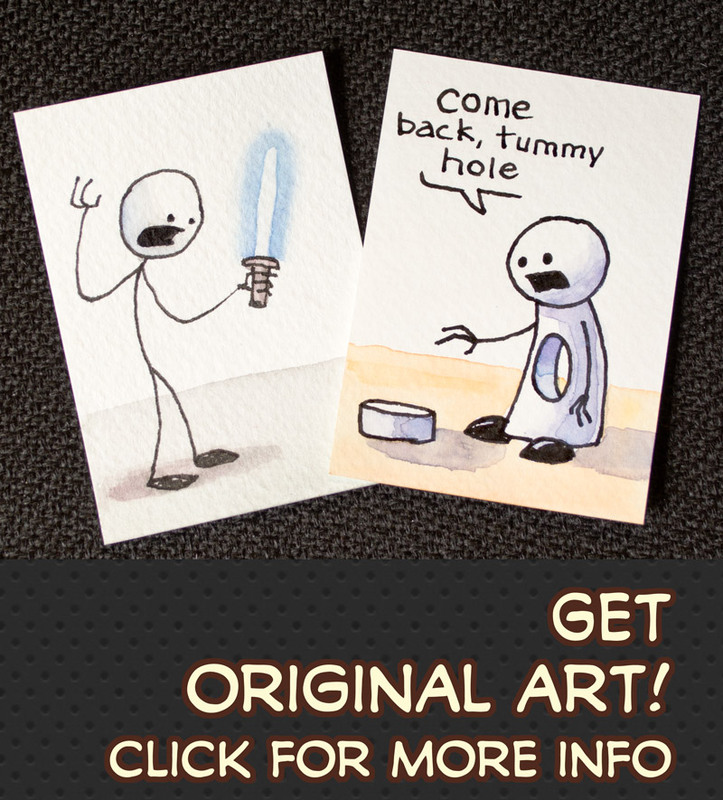 You are currently browsing the Stick Figure Sketchblog & Webcomic Creator @ Stewped.com weblog archives for August, 2008. Back from the Great Sand Dunes in southwest Colorado and there are some pictures for you to peruse. Enjoy. I’ll get back to doing some drawing tomorrow and this weekend for sure. Gotta go to bed, didn’t get too much done. Got home late and had to unwind with some Diablo2. 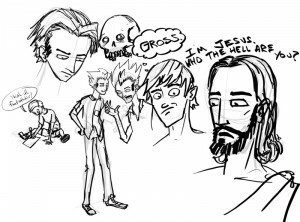 Here’s what I drew in the past 45 min – 1 hour. 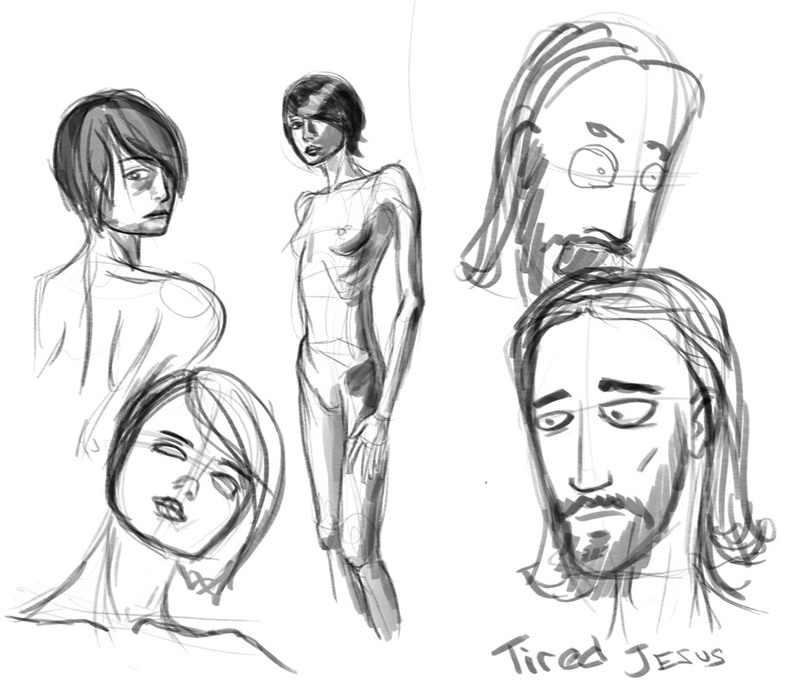 More of Olga from photo reference and Jesus from no real reference. This comic is taking me FOREVER to finish! I worked at least 4 hours today on this and i have about 4 panels inked. Also, that doesn’t include any backgrounds, either. Here is a preview of some “inked” panels. I haven’t used any real ink on this at all yet. All on the cintiq. According to the references from that time period, i.e. paintings from hundreds of years later, everyone wore beards. I haven’t upgraded wordpress yet, so I’m going to do that as soon as this is finished. 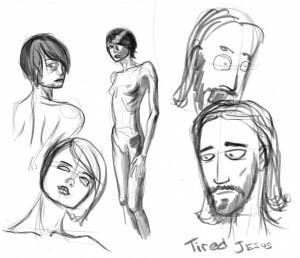 Here are some more studies, I guess, of nudes. 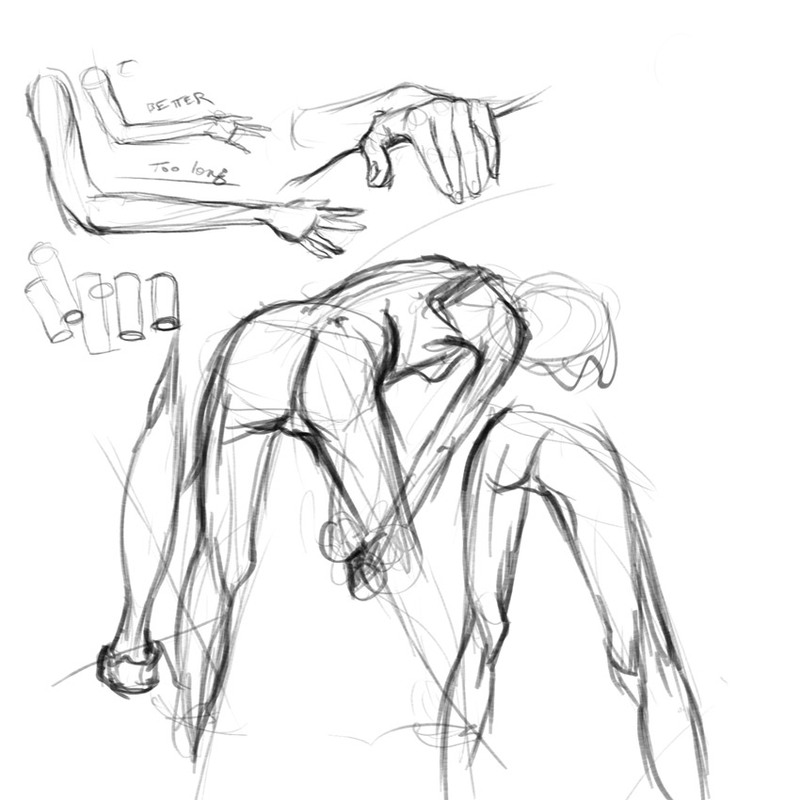 The references I used are of a model named Olga and she’s so scrawny you can see pretty much all her bones and muscles. It really helps as the models I had in school had no definition to their muscles at all and it was really hard to see what was where. You can see all kinds of stuff on Olga’s arms and the backs of her legs that you can’t see as easily on most others. Anyway, here they are. 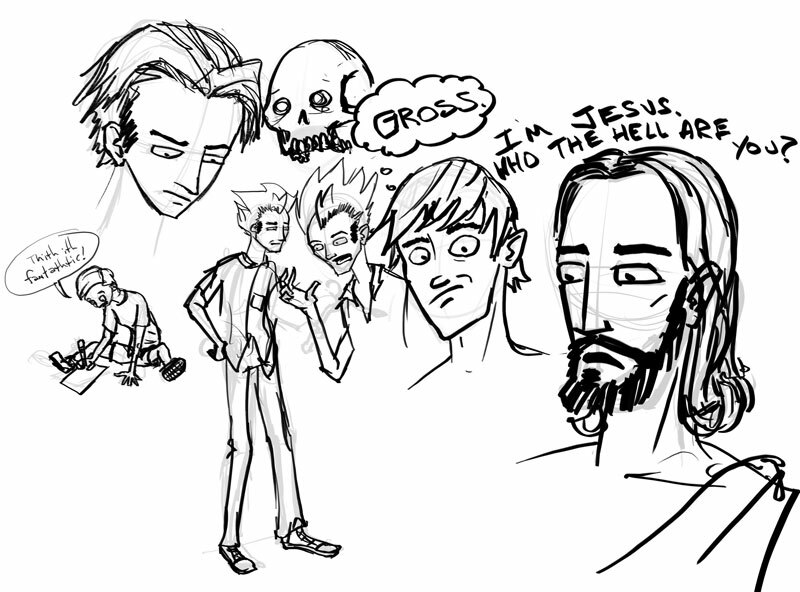 As I just got the coolest digital drawing tool in the free world, here are some doodles. 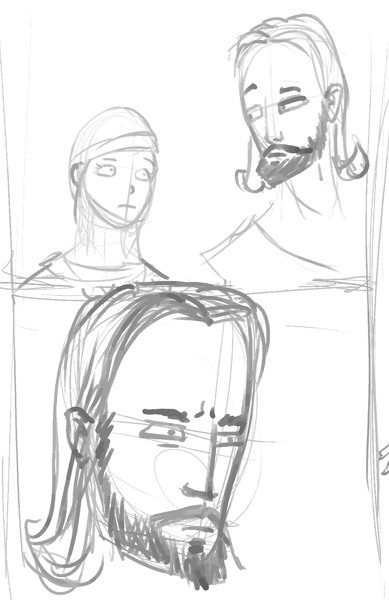 Think I finally have a good face for Jesus, too, for a project that has been in the works for a long time. I like the idea of a jesus that’s “with it” just enough to use some swears. 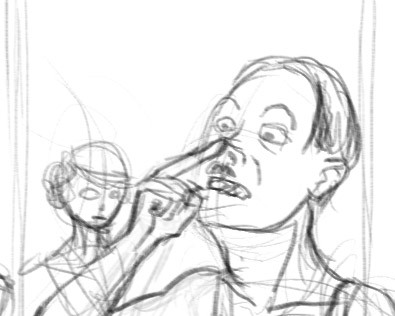 Here’s some panels from a comic I am working on.Â Just a one shot, 5 or 6 panels at the most.Â They may or may not ruin the joke(? ), but I don’t care, wanted to show it off as I haven’t done anything in ages.